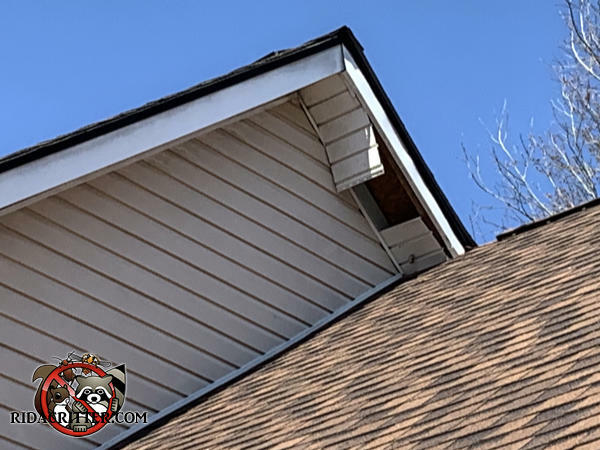 I'm not sure whether the raccoons pulled the soffit panel down from the outside (which raccoons are perfectly capable of doing), or whether the soffit panel collapsed under the weight of raccoons running on it from the inside. Those panels aren't very tight and it doesn't take that much weight for them to fall out like that. To learn more about raccoon removal in North Georgia, please click here.